FLOORTEC 350 is the ideal solution for small to medium sized cleaning jobs like service stations, small parking lots, school yards, small factories and small warehouses. 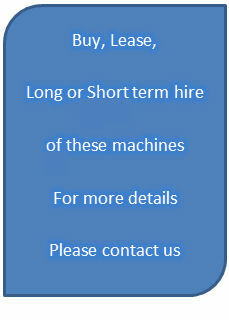 The machines are also suitable for the cleaning of large carpeted areas. FLOORTEC 350 is the most effective solution for dust-free sweeping in small and narrow areas. 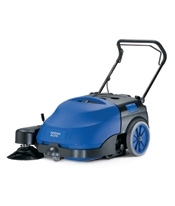 Rugged design, low noise level and dust-free sweeping for both in and outdoor use. The filters can be replaced and the brooms can be adjusted/changed in no time - without any use of tools. Control panel with battery level indicator. Handle can be folded for easy transport. Traction transmitted via the back wheels. Adjustable main and side broom. The brooms can be changed without the use of any tools. The large polyester filter can be inspected/changed without tools.